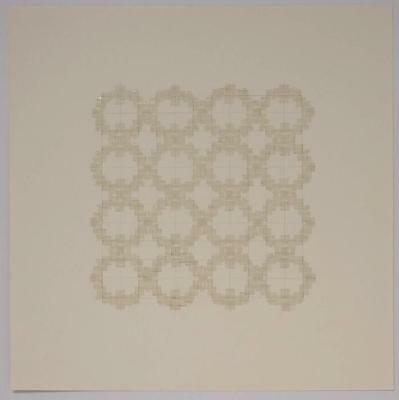 David Ambrose, Tiepolian Vista, Watercolor, gouache on pierced paper, 14 in X 11 in, 2009. 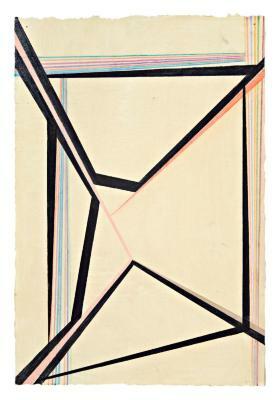 David Ambrose, A Fierce Geometry, watercolor and gouache on pierced paper, 11 in X 8.5 in, 2009. 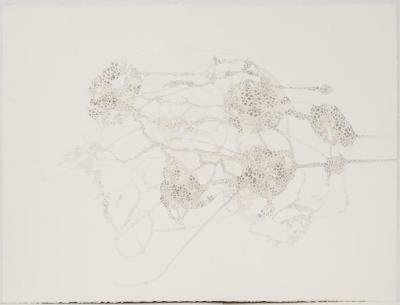 Kate Beck, Untitled, Graphite, 22.375 in X 30 in, 2008. 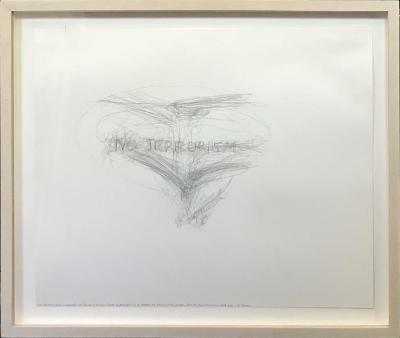 Hedwig Brouckaert, Victoria’s Secret Fall 2009 VI, Drawing, Archival print on paper, 18.25 in X 12.75 in, 2009. 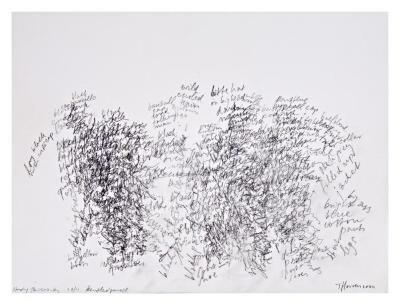 Hedwig Brouckaert, LL Bean Fall 2009 III, Drawing, Archival print on paper, 18.25 in X 12.75 in, 2009. 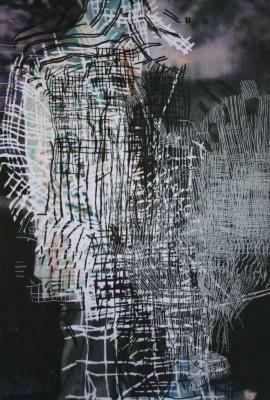 Catalina Chervin, About the Memory, Mixed media on paper, 29 in X 23 in, 2008. 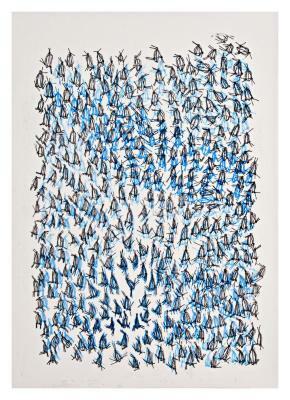 Catalina Chervin, Untitled, Pen, graphite, charcoal, colored ink with pigment on paper, 23 in X 31 in, 2008 – 2009. 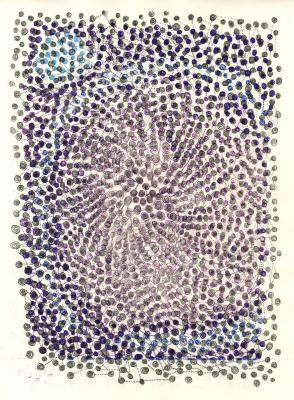 Stephen Cox, Slide Station #8, pen on paper, X , 2003. 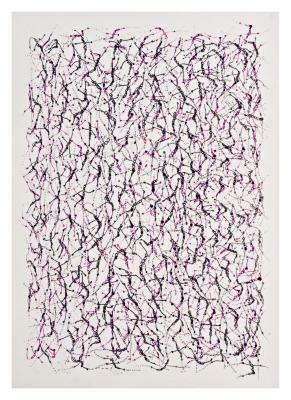 Stephen Cox, Stick Sway #2, pen on paper, X , 2003. 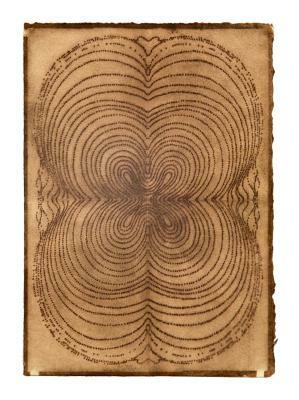 Ellen Driscoll, McMansion Plot, Ink, 25.75 in X 11 in, 2007. 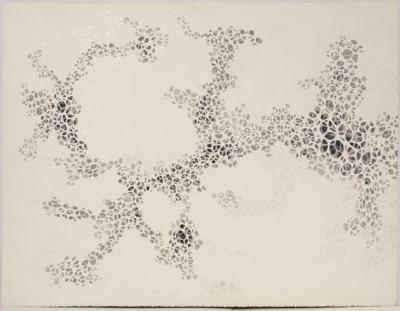 Ellen Driscoll, Smoke, Ink, 24.5 in X 12 in, 2007. 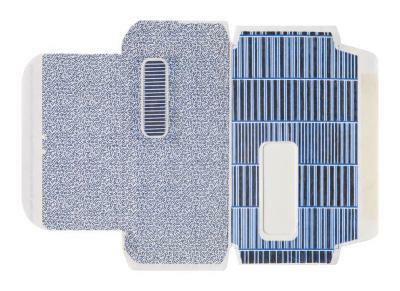 Elizabeth Duffy, 0% APR, Graphite on collaged envelope, 10 in X 8.5 in, 2004. 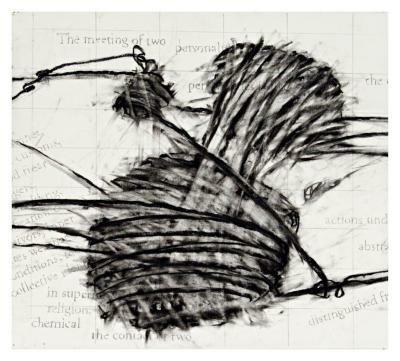 Abby Goldstein, The Meeting of Two, Charcoal and pencil on paper, 15 in X 15 in, 2007. 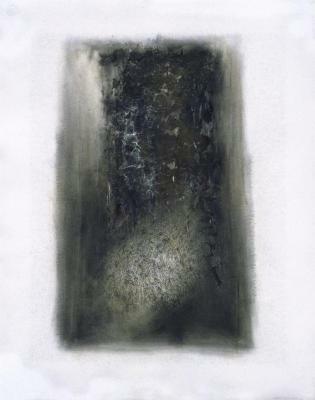 Abby Goldstein, “A”, Charcoal, 15 in X 15 in, 2007. 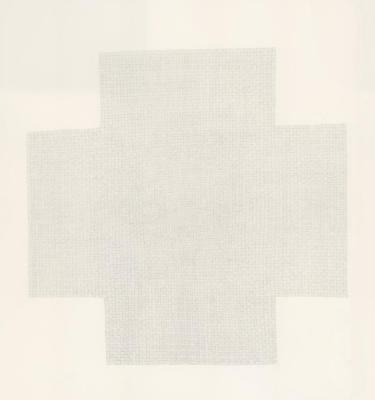 Marietta Hoferer, Small Crystal #5, Pencil, tape on paper, 21 in X 21 in, 2005. Toine Horvers, Study, Passers-By (Kentler), Graphite on paper, 12.5 in X 15 in, 2004. 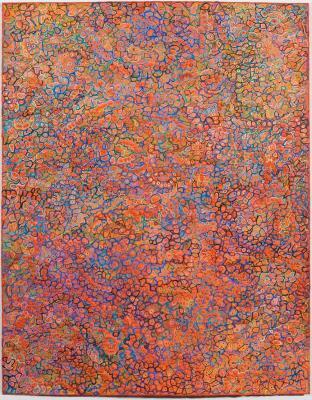 Nene Humphrey, Colony #56, Mixed media, 11 in X 15 in, 2003. 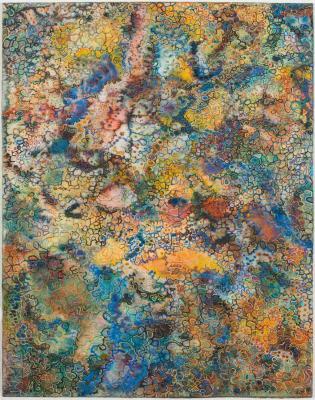 Nene Humphrey, Aggregates #39, Mixed media, 11 in X 15 in, 2001. 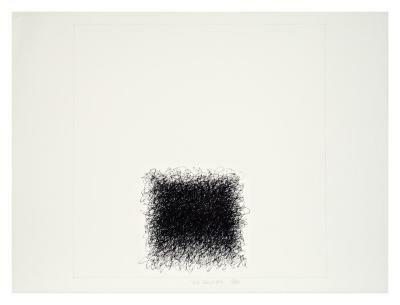 Mary Judge, Untitled Splovero Drawing, Concentric Shape Series #101, Charcoal, 10 in X 7 in, 2001. 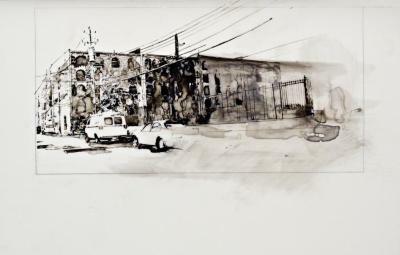 Elise Kaufman, Mercedes Storage (View from Imlay), graphite and india ink on mylan, 9.75 in X 15.75 in, 2007. 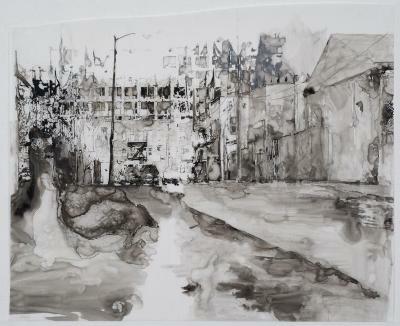 Elise Kaufman, Warehouse, graphite and india ink on mylan, 12.5 in X 18.5 in, 2007. 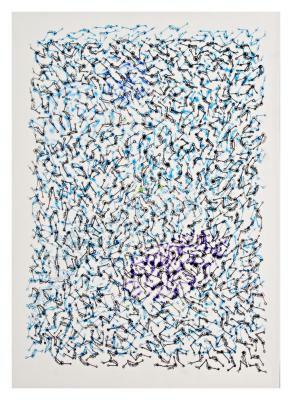 Michael Kukla, Untitled 19, Watercolor/gouache, 22 in X 30 in, 2009. 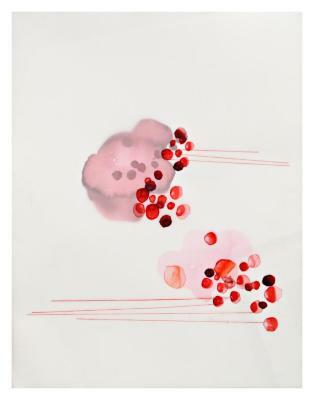 Michael Kukla, Untitled 20, Watercolor/gouache, 22 in X 30 in, 2009. 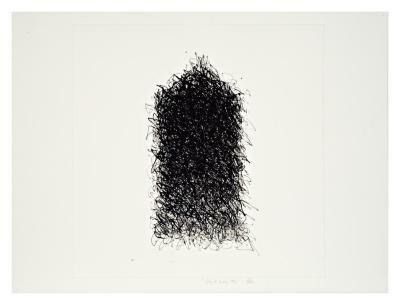 Robert Lansden, Echo, graphite on paper, 22 in X 22 in, 2008. 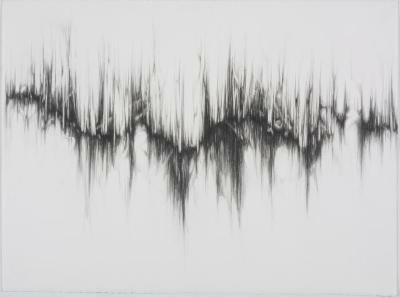 Dawn Lee, Resonance #4, Graphite on paper, 22 in X 30 in, 2008. 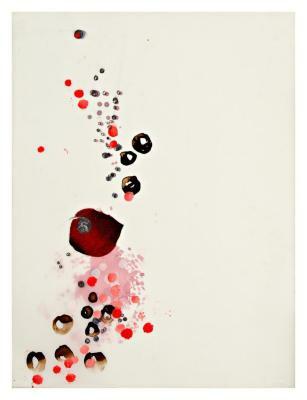 Jim Napierala, Tango, Flashe, acrylic and pencil on maple veneer, 12.5 in X 14.5 in, 2007. 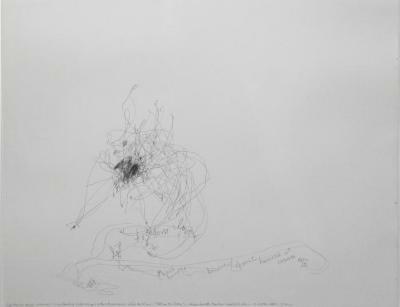 Morgan O’Hara, Live Transmission: Movement of the hands of Indonesian Artist Arahmaiani while performing Tell me the Story - Japan Society Theater, NYC 19, October 2001, Graphite on paper, 14 in X 17 in, 2001. 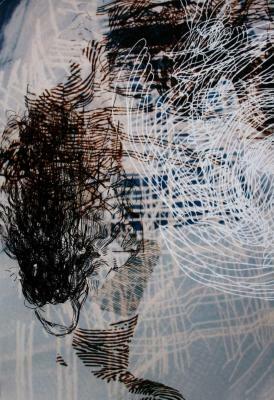 Morgan O’Hara, Live Transmission: Movement of the hands of Hong O'Bong while performing on October 20, 2001 at the Japan Society Theater, New York City, Graphite on paper, 14 in X 17 in, 2001. 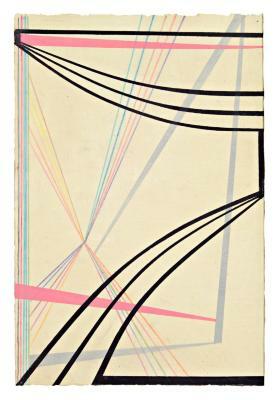 Gary Petersen, mm 35, 09, acrylic, graphite and colored pencil, 11 in X 7.5 in, 2009. 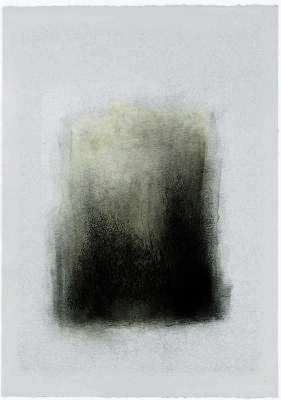 Gary Petersen, mm 26, 08, acrylic, graphite, colored pencil, 11 in X 7.5 in, 2008.